3D embroidery is pretty similar to eyebrow embroidery because they both, in a sense, fill up your eyebrows. 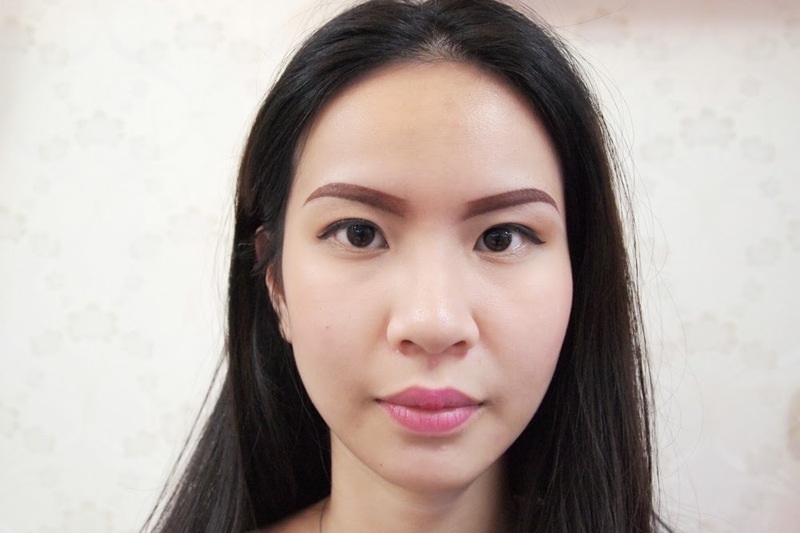 Embroidery is normally the option that those, with sparse or overly-plucked eyebrows, take when they want to create their perfect dream eyebrow. However, don't get it confused with tattooing - tattoos normally last for life and can end with a blue-green tinge after a few years. They also come off as overly dark and intimidating due to their harsh color. Embroidery, however, only lasts a couple of years (before your touch up) and its color is more of a dark to medium brown. It can range to light brown, depending to how natural you would like your final result to be. Eventually, the reason why it fades off is because embroidery is done on our epidermis, which is the outermost layer of our skin, and it sheds as we age/exfoliate/wash our faces. 3D embroidery works the same way embroidery does and with that "tattoo pen" as well, but it fills in the brows with hair-like strokes rather than a full area of coloring. It is also much longer lasting as compared to the former and will be less patchy. 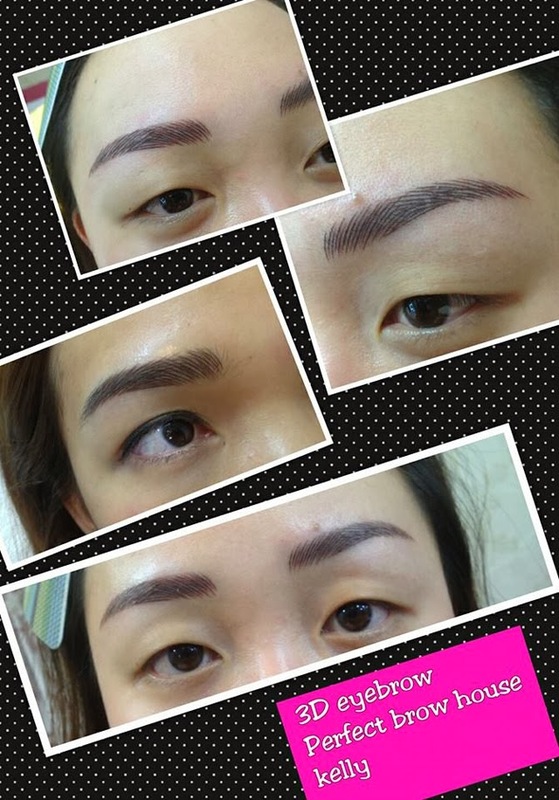 Thus, the price for the 3D eyebrow embroidery, which requires such precision and hard work, is much more expensive than embroidery alone. Kelly is the owner of Perfect Brow House. She runs the show with a few others, but she's THE ONE to look for regarding eyebrow embroidery and the like. She's been a master of this craft for a good 10 years, and knowing this fact just sets my heart at ease. She's from China, so naturally she's Chinese speaking. She will try her best to converse in English, should Chinese not be your strong suit, so don't worry! :) She's a dedicated professional who takes her job in her stride. Your eyebrows are safe here! These are my original eyebrows.... If you've read our blog till now, I guess you'll feel like, "Hey, they never looked that thin before!" and you may be right! I never noticed it too until I got it plucked at Browhaus (not to be confused with Perfect Brow House) and went, "Okay this isn't going to work." It's not that BrowHaus plucked it too thin either, because if you can see my previous embroidery done below, it's really only covering that amount of space.. sooo yes. After much searching online and consulting a good friend of mine, I decided Perfect Brow House would be the place for me; so I made an appointment and did not hesitate to go down one week later! Since I had this embroidery already done, I had to get them removed to truly showcase the 3D kind I was going to do - so in came the laser to zap zap it all off! The photo above is what it looked like the first day I after I got it lasered off. It may look scary or painful but I assure you that it isn't and wasn't. Plus, the redness of it all was due to the fact that I have very thin and sensitive skin, so don't assume your result will be the same! Kelly told me one of her customers actually got it all lasered off and had NO REDNESS whatsoever (lucky person!). Once the laser is done and everything is good, you can return in about 3 weeks to a month to get started on your spanking brand new embroidery!! I don't know how I had the patience to go about eyebrow-less for so long but I did it, yay me! When the day came to fill my brows in, I was filled with SO MUCH anticipation I think I imploded a little bit. I was finally going to have BEEYOOTIFUUL brows! To start the whole process off, Kelly drew in the shape of my new eyebrows. I was a little overwhelmed to be honest because I thought they were a little too thick! I'll admit that I kind of freaked out on the spot and repeated about 100000 times, "Is it really going to be this thick!?!?!?" Kelly had to constantly reassure me that it was just an outline and that the final result would be HALF of that; and when I had finally stabilized my breathing and come to terms with thicker eyebrows than what I originally had, she could begin on my eyebrows lol. As with all aesthetic procedures, they applied numbing cream on my brows and place cling/saran wrap over it. Mine was about half an hour long, which, according to Kelly, is the perfect amount of time to wait out so I would feel nothing during the process. She then proceeded to show me the blade (do note that all blades are new!) which she would be using on my eyebrows! From far, it looked like a normal penknife. Up close, it was like a bazillion little spikes on a razor! I was more intrigued than scared to be honest - all I kept thinking about was, "wow how does this even work?" Well, let me answer that for you. 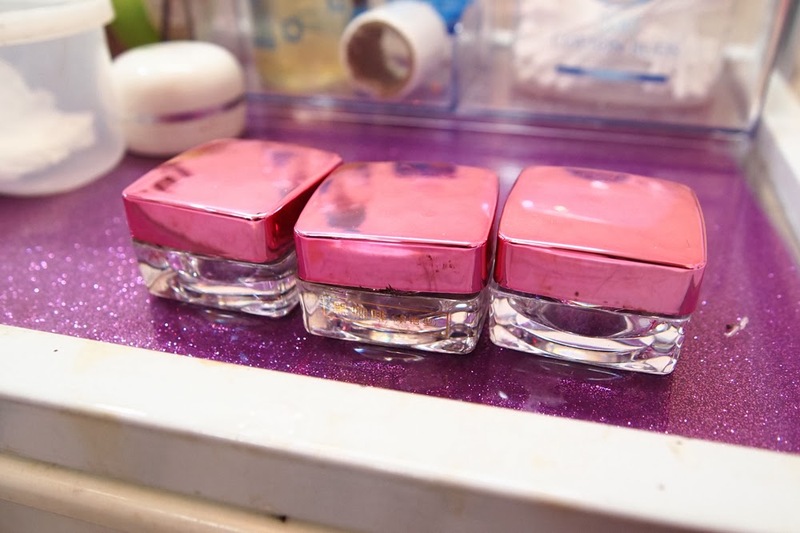 See those three pink containers? They each contain dyes of different colors like black/brown and it's all specially concocted to suit your own eyebrow color! For some, like myself, a darker shade is desired; this means that more black is possibly mixed in. For those who prefer a natural lighter color, a browner type may be used! The blade is dipped into these dyes to pick up the ink, and later deposits them into your skin by poking/sinking them in - if I could say what it looks like, I would probably go with old-school tattooing. 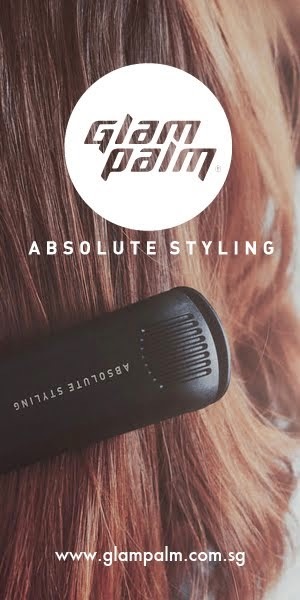 But if I could describe what it FEELS LIKE (which is what all of you really care about anyway right haha), I would say it felt like she was combing my eyebrow hair out with a really tiny comb, and my hair constantly felt tangled. LOL, what a weird description right? It really felt like she was combing out really messy eyebrow hair and all I got was this tugging feeling! Absolutely zero pain. At one point, I even fell asleep, I kid you not. Once she was done with one side, she let me look at it in the mirror to see if all was fine and dandy. If I wanted any strand longer or darker, she would get on it RIGHT AWAY. No questions asked. Your wish is her command! For those who request much darker eyebrows, she will layer the color on heavier than usual, so that this is achieved. Kelly provides a scar cream after it's all done, and you will need to be very very diligent in applying it so as to ensure that your eyebrow color remains as vivid and as long as it should. Simply dab it on (NO SWIPING) to your eyebrows with a cotton bud/Q-tip from start to end. Be sure not to apply too much as this will dilute the eventual color. Aim for applying about 3-6 times a day, or as often as you can. 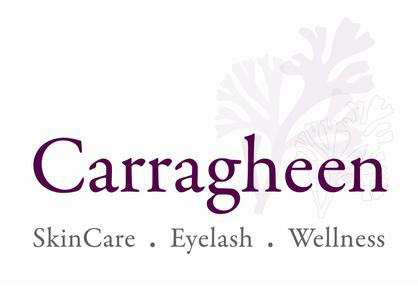 This ensures that the eyebrows do not dry out too quickly, which leads to premature scabbing and peeling off. Be prepared to look like you're supremely pissed or just really bad with an eyebrow pencil. Every blog I've read regarding 3D eyebrow embroidery said that this is something you just can't escape. I personally had no issue, and went out with it all the same. I regret to say that I went to the gym on the very first day after my embroider was done, because the sweat and the patting off of the sweat caused a little bit of color to come off.. My suggestion to anyone doing this is to stay away from heavy activities or the gym for a week. Let your eyebrows heal first. Also, they will feel hard and crusty, so apply the scar cream as often as you can! Three words for Day Three: It. Started. Peeling. This should not be happening, by the way. 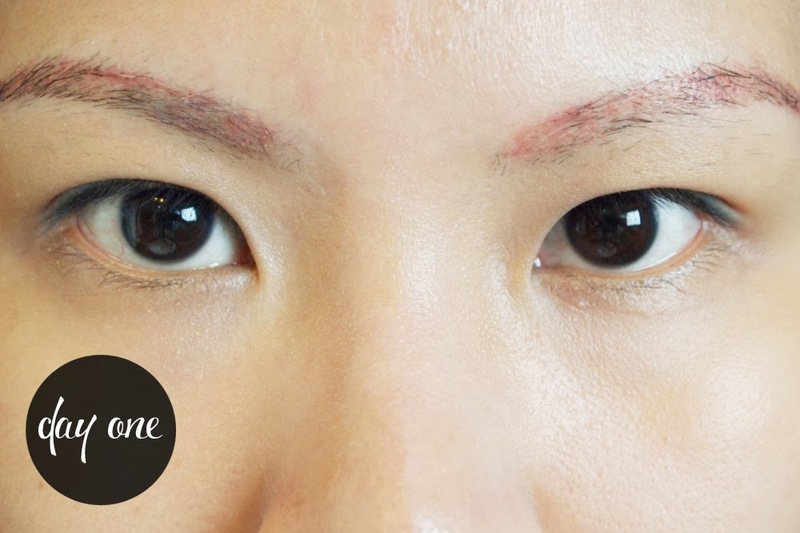 If you get your eyebrow embroidery done, please note that this should not be happening at all! It's not because of any lack of expertise on Kelly's part, but purely because my skin was healing too slowly from the laser before, and I was just a little slack on the scar cream (yikes). What caused me to panic even more was that by Day Four, I started to have really clumpy looking eyebrows because the scabs that fell out revealed nothing but skin below. There were no signs of embroidery at all! I was FREAKING OUT REAL BAD. At this point, most of the peeling was done. I looked weird because some of the embroidery (which looked great) remained on my brow area, but the other parts just looked plain barren. It did not help that chunks of skin were flaking off still. I had maintained contact with Kelly almost everyday, showing her pictures of my eyebrows through whatsapp. She was an angel, constantly reassuring me that I could always return the week after to touch up ANYTHING. This meant a lot to someone who's a perfectionist in every sense. It looks very very very far from desired. I bet some of you are going like, "WHAT IS THAT??" right now, and I'm not even going to blame you. I started worrying that my skin would never take to eyebrow embroidery, and that perhaps I'd have to walk around with this travesty my whole life. Needless to say, I made an appointment for the touchup ASAP and was happy to get one the day after! Anyway, she pretty much went through a similar procedure of doing my brows as I mentioned above - just that this time she didn't have to draw my brows in. For most people who do touch ups after a week, it's normally to correct one or two strands that somehow didn't show up. For me, she had to basically redo the whole thing. This, of course, meant that I had another week to wait through. I didn't bother with day-by-day photos this time because it's pretty much the same process, but yes you can see the before/after above, and how much better it turned out this time! :) The color is stronger, the eyebrows look more even, and the shape is just lovely! 1) Be prepared to look really weird for a week. If you've got any major events coming up, do this AT LEAST one to two weeks before. This is in case you're like me and require a serious touch up. 2) Put the scar cream on as often as you can. Bring it out with you whether at the office or school, whatever. Take a Q-tip/cotton bud with you if need be. 3) Don't use too much of the cream, a little will do. Just dab it on lightly, do not do not do not swipe it across! For a gauge, I've used the cream for about 2 weeks and still have about 1/3 of it left in the container. 4) Try to keep it away from water as much as you can. This includes SWEAT. Keep away from the gym for the time being. If your eyebrows somehow get wet, immediately pat them dry. 5) Wash your face with cotton pads or a towel so as to ensure minimal contact with water. You could opt for those Biore cleansing sheets if you wear makeup. 6) Try not to let makeup touch your eyebrow area, if you do wear it. 7) Do not peel your scabs off. They will naturally flake off whilst you apply scar cream over your brows. 8) A good time period to wait out before expecting peeling/flaking off would be about 5 days to a week. This ensures better color adherence and clearer strokes. 9) Try not to sleep on your sides, so your eyebrows don't touch your pillows and scrape against them. Once my eyebrows are fully peeled, do I still need to apply the scar cream? 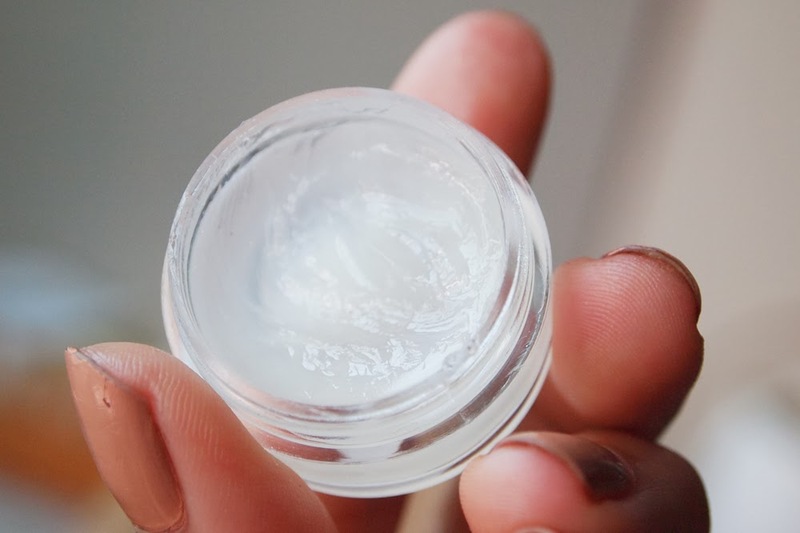 Yes, you should still apply the cream for about 2-3 days after because your eyebrows will feel dry and itchy. This helps in the healing process. How long before I can wash my face normally again? 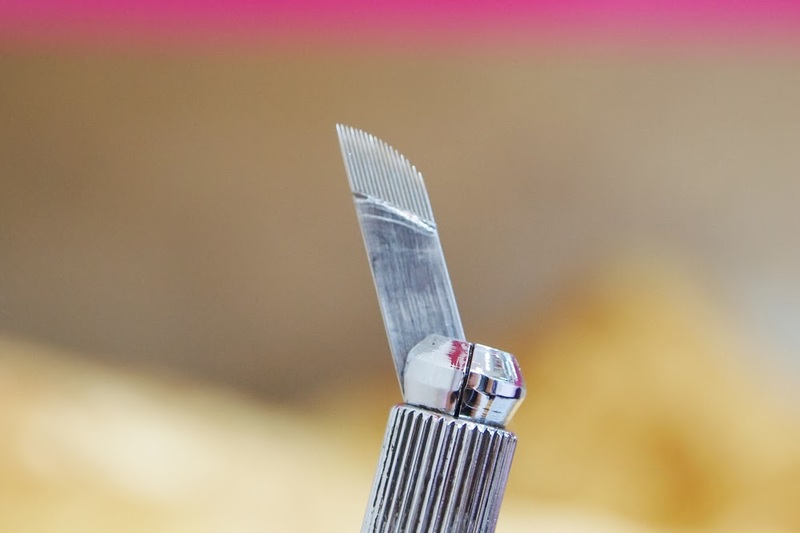 Once your eyebrows are fully peeled off (if you'd like to be really sure, you could wait 1-2 days more after), you're good to go! How long should I wait till my next facial session? Kelly mentioned that 2-3 days after should be fine, but I personally think that waiting a week or two after would be better. How soon can I start wearing makeup? Once the eyebrows are fully peeled, feel free! If I do wear makeup, and draw my brows in, will that affect anything? Well, the embroidered strands just won't be as obvious anymore because the makeup is over it, but besides that, no. Some loose powder over the brows might also cause a very slight blue tinge; nothing you'd really notice though. If I use makeup remover on my eyebrows, will that cause fading? Nope, it shouldn't. Just make sure you don't scrub or rub too hard for the kind that you use on a cotton pad. How long should I wait till my next touch up? It really depends. For me, it was a week after because of what happened; but you can always go WHENEVER you want a darker color or fix whatever strands you're unsatisfied with. If I get a last minute event to attend, and my eyebrows are still in the midst of peeling, can I draw the empty/lighter parts in? N.O. No. Do not even think of doing that. If all else fails, wear a hat or some hair extensions over lol. If I have a fringe and it touches the eyebrows whilst they're healing, will that affect anything? No. At most you might feel irritated but nothing will happen. If it really bothers you, wear a hair band or clip your hair up. 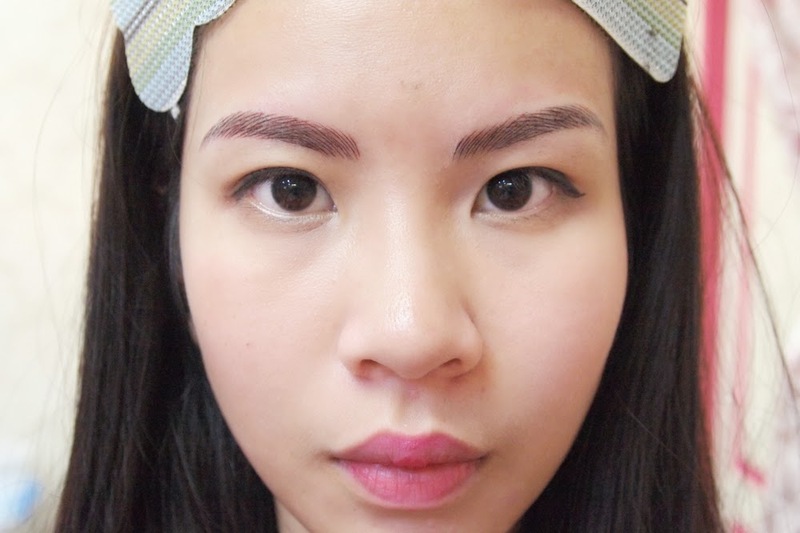 I never imagined life without eyebrows being so painful lol (first world problem right there), because it never bothered me that I had sparse eyebrows till I actually had my previous embroidery lasered off. One of those "you never know what you've got till it's gone" situations. Anywhoo, waking up, getting my makeup done, etc, is all a breeze for me now! I have a shape that constantly looks well-maintained and groomed with absolutely zero effort; and who isn't looking for that in today's fast-paced world? DO NOTE: As Kelly is highly sought after, and hence very busy, any services by her will require a top up of $200 from prices shown above. Any other services will require a top up of $100. Do not worry about the service and skills of the other staff though, because they are equally able to give you great results too. So I'm back with an update of my eyebrows 6 after about half a year! I know by this time a lot of people are wondering just what they'd be like. In fact, I myself am pleasantly surprised by how well this embroidery has lasted - I used to have to redo my old embroidery every 4 months! That's 3 times a year, so can you just imagine how much I spent!?! But enough talking, let my pictures do it instead. In case you're looking for a "far away" shot, here's one I took with my baby niece *light of my life*, and you can see just how natural the color is! I love love LOVE this to death - and this is a decision I have never once regretted making in my life. You can contact Kelly on her mobile at 9125 2256.
i like the end results. looking good there! Hi! did you have to pay to laser off the previous embroidery? i had to pay $300 to laser off at Salon#1. omg. the 3D one looks really good, compared to salon#1 which seems abit flat. Given that you have done both before, would you recommend the 3D one? Yes I did have to laser off.. 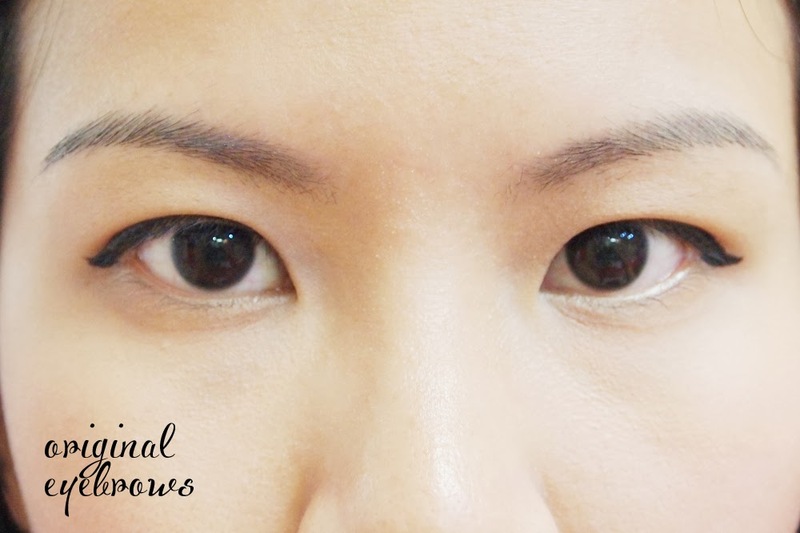 I actually linked a post above to my eyebrow embroidery removal process! I understand that for most places it does fall within the price range of $300. I would definitely recommend the 3D one. I'm so much happier with it too! Plus Kelly is so meticulous about the whole process, I find it so much better than No1 salon because I felt they just rushed through my entire process. Wih my current 3D one, I feel the hair strokes are more natural and better defined at the same time. Plus it does not even fade NEARLY as quickly as my previous embroidery. Hi! i did read the post but do you know if Kelly would charge to laser off the eyebrow embroidery? Thanks for reading, I hope the post was helpful! Hi, I'm reading your post just now. It's been a year since I have been considering getting my eyebrows done. Anyway, can you tell me the difference between the 3D and the 4D? And why did you end up choosing the 3D? Hope to hear from you. 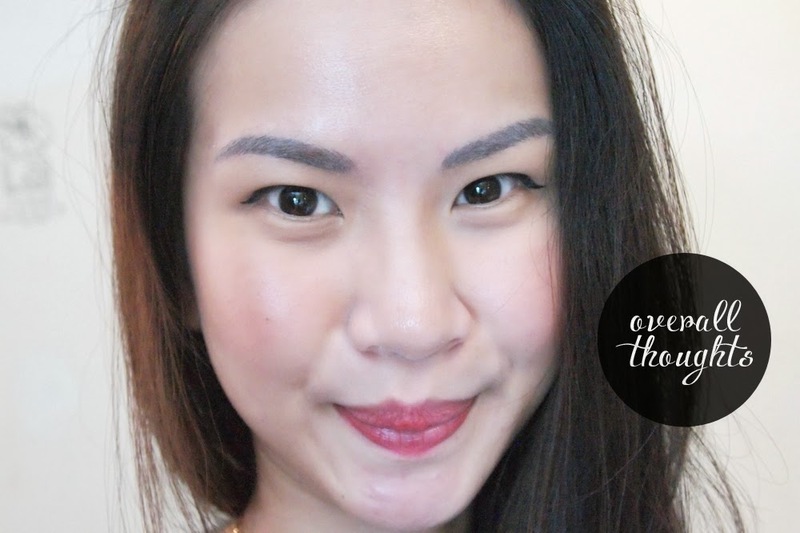 Your blog has been very helpful and I really envy your eyebrows now!!! Hey dear :) the difference between 4D and 3D is that the 4D strokes are denser and closer together to really simulate hair for those who TRULY have no eyebrows or have those that are sparse beyond redemption. 3D is for those who just have uneven eyebrow hair and want to even it all out and do not need the hair strands to be so dense! Hope this helps! Hi I went to did mine two wks ago and it started to fade off. This is normal? hi! any reviews on their eyeliner embroidery? is it good? I was kind of con into doing the embroidery. So I really need to know this desperately. If i do not go back for the touch up will my eye brow go back to its natural color after the embroidery fades off? I was kind of con into doing the 2D embroidery so I desperately need to know this. 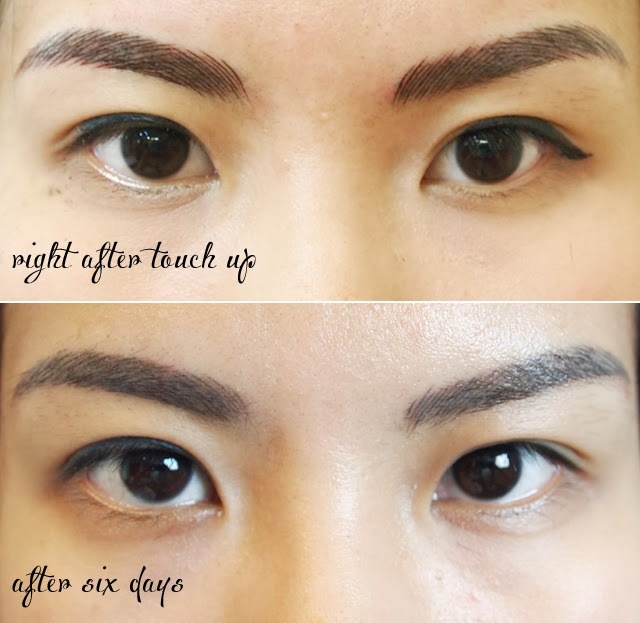 If I do not go back for the touch up will my eye brows go back to it's natural color after the embroidery ink fades off? That's me in the photos u grabbed on facebook! Can you tell me what is the best option for someone with alopecia at the moment i would really like to hear your opinion about that, since you are well informed about eyebrow tattoo and stuff like that. Hi thank you for writing this post, noticed the lower part of eyebrows are a bit darker, is this normal? How long it takes the darker part to fade? the darker part is due to that area having more hair than the ends of my eyebrows so it just appears more dense and darker - it will always remain that way. If you'd like, you can always mention to darken your ends more significantly than the front. Hey guys, seriously I was a fan of perfect brow house before but I'm very very upset with their crazy increase in prices. Within the span of 1 year all their prices have jumped up by the 100s! Now the 3D brow by Kelly is $788 not $480, if you want it done by her unknown colleagues it would be $588. 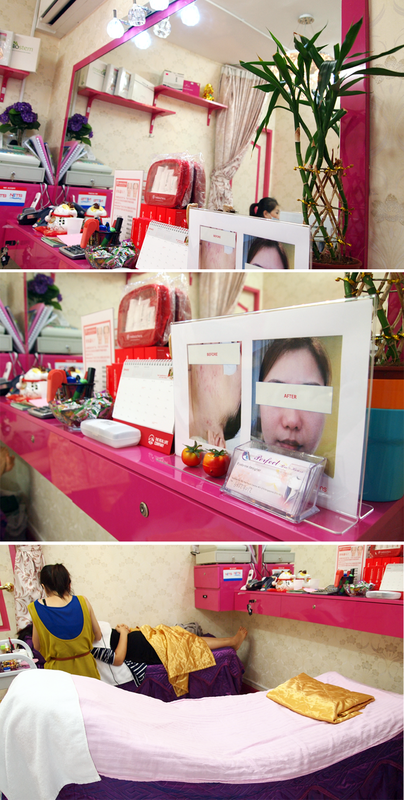 Touch up no longer costs $100, it costs $300 to be done by Kelly and $200 done by her unknown colleagues. Please guys, do update your prices. Hi Samantha, did you have your previous eyebrow laser off at Perfect Brow House? Did the reddishness goes off after 3 weeks? Also is there any scars or still trace of the previous eyebrow embroidery after you laser off? I would like to laser off my eyebrow head portion and the beautician had done it too near to each other for me, Need some advice before I decide if I should laser it off or not. I hv just done 6D embroidery, now day 2, cant wait for it to peel. Hi Samantha, I had done the 3D days before.I'm glad to find your blog at least I know things will become better. Now it's too dark and my family doesn't like the look. I am thinking if the touch up later in 30 days will make it darker again and I have to go thru another round of healing and waiting for the colour to become more natural. I've done all I have to do, no water and applied the cream daily. So sad with the result. did you do yours with Kelly? I'm sorry, as I'm currently taking a hiatus from my blog, please feel free to email me anytime. Im so relieved I'm not going the only one who is going through the patchy process. My eyebrow embroidered told me no cream (which I found odd, since I have tattoos and all my artists always tell me too keep newly tattood area moistured) Day 4 came and my eyebrow got so dry that it started scabbing and peeling. By day 5 I saw a huge dry scab and knew that area will be patchy, so finally I just put tattoo healing cream. Day 8 today and that dry patch fell off, and yes its got no color underneath. I want to cry so bad!!! I'm very sorry to hear this. Who did you do yours with? I've done mine at 3 places before and all 3 have provided me with moisturizing cream. It's very disheartening to hear this. I hope your problem is solved already. Hi , I hope you still answer. Is it possible to laser off a 3d brows? yes. I wrote a post on that before. Hi Samantha! Thanks for sharing. I got mine done recently and I wanted to ask, how long do I avoid getting them wet ideally? Also, do I put the healing cream on until I can let it peel by itself? Thano you. Hi, I would like ur advice.. Did u wipe off the cream after putting it on for a few minutes? My beautician gave me an antiseptic cream n told me to use wet wipes to wipe off gently after 2mins.. I m kind of confused, doesn't it defeat the purpose of brow not touching water as much as possible? Thanks in advance!